Here is my nearly finished quilt which has been entered in the Vic Quilters Show this year in the category miniature. I thought that before I tackle a big New York Beauty quilt I better see if I like it. And as every year in my quilting group the Chris Kringle is a miniature I jumped on the opportunity. 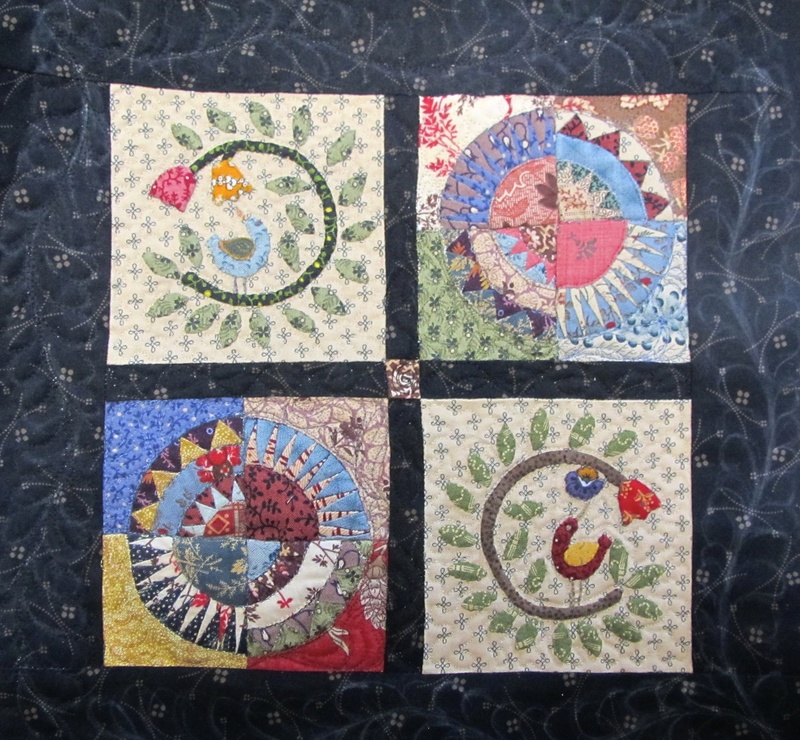 But after spending so much time on each circles I kept it ….. and I had to make another miniature quilt. This one is 12,5 x 12,5 inches finished. And I will make a big New York beauty.